Orien ate the wrong lunch! What happens when 2 people have the same lunchbox in the office! 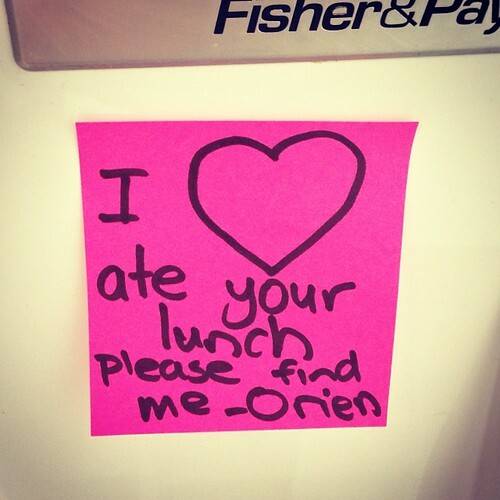 A post-it note on our fridge!